SHANGHAI - China's home prices rose 0.5 percent in February, the slowest monthly gain since August, after the government increased efforts to curb risks of asset bubbles, said SouFun Holdings Ltd. Residential prices rose in 80 out of 100 cities tracked by SouFun from January, with average home values nationwide climbing to 8,686 yuan ($1,322) a square meter. Home prices increased 1 percent in January from December, SouFun, the nation's biggest real-estate website owner, said in a statement on Tuesday. China has this year raised the minimum downpayment for second-home purchases and introduced taxes on residential properties in Shanghai and Chongqing. Chinese cities including Beijing, Shanghai and Guangzhou also announced restrictions on home purchases last month, responding to measures imposed by the central government. "Home-price growth already slowed, but it will take some time to fall because the most severe government curbs of purchase limitations were issued late last month," said Johnson Hu, a Hong Kong-based property analyst at CIMB-GK Securities Research Pte. Shantou, a mid-sized southeastern city, posted a 2.6 percent gain from January, the biggest advance, while the northern industrial city of Harbin fell 1.1 percent, the largest decline, SouFun said. 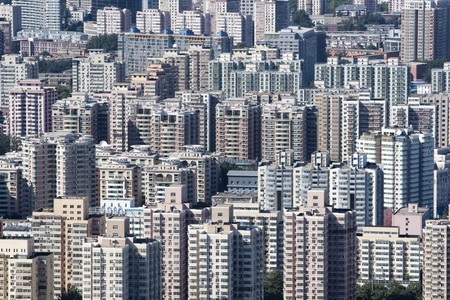 Home prices in Shanghai, Beijing and Chongqing rose 0.5 percent each last month. SouFun started compiling the monthly home data for 100 cities in July and usually releases them before the National Bureau of Statistics' figures. Government indexes of new and existing homes for February are due on March 18. January's new-home prices rose in all but two of the 70 Chinese cities closely monitored by the government. Premier Wen Jiabao restated that he's still "confident" of bringing property prices back to a "normal level," and pledged to build as many as 36 million units of social housing in the next five years, in an online discussion with the public on Sunday. The government probably won't issue additional property-tightening measures soon because the current ones are already very strict, said CIMB-GK's Hu. Most residential developers' contract sales will be affected by the government's purchasing restrictions in 19 cities, including Shanghai, Beijing, Guangzhou and Jinan, given their significant exposure in those cities, Zhang Haiyun, an analyst for UBS Securities Co said in a report. Poly Real Estate Group Co said on Monday that 2010 profit rose 40 percent as rising investments and housing prices boosted sales, offsetting the effects of government curbs on the property market.